Some African swindlers, who converted paper into dollars, have been held in Moscow. This is not the first case of unusual fraudulent schemes in Russia over the past few years. Some of the most fascinating stories are outlined. Moscow police said they had detained two African immigrants who were suspected of having sold paper and liquid that supposedly turned paper sheets into US dollars. "The suspects would perform a show," said the police statement. "In the presence of the victims they would treat a sheet of paper with a chemical solution and ask the people to check the authenticity of the banknote, which by then they had stealthily managed to replace with a real one." Before treating the paper with the liquid they put on gloves and medical masks, warning that fumes from the chemical solution were lethal. They sold the ‘magical’ liquid to one victim for five million rubles (nearly $77,000). Three years ago, nine Africans were arrested in the Russian capital for having extracted at least 900 million rubles (almost 14 million dollars) from foreign businessmen, using fake names and surnames resembling the names of large Russian corporations like Gazprom, Rosneft, and so on. The money was stolen from several hundred foreign companies from the European Union, the United States and Southeast Asia. The malefactors advertised the sale of various minerals and other products (rails, locomotives) on the Internet, received the pre-payments and then disappeared. During one transaction they presented buyers with an account belonging to someone named JSC Railways. The criminal case was filed after a representative of the Russian Railways complained to the police. Another new form of fraud happened several months ago. Unknown tricksters began selling fake 18th and 19th century coins on a mass scale. They approached people in the underground crossings, on the streets and offered them apparently silver coins with portraits of Russian tsars, saying that they had inherited the valuables from their relatives or found a treasure trove. According to reports, copies of the coins, whose real worth is 100 rubles ($1.50), can sell for between 30,000 and 40,000 rubles ($500). And there are quite a few buyers. 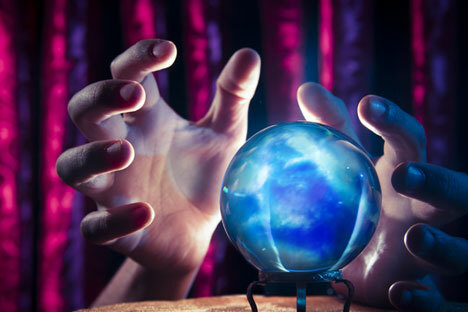 Some fake ‘psychics’ were detained in Moscow last month. According to reports, several years ago they had organized more than two dozen call centres throughout the country and told fortunes and cured people over the telephone, "performing a series of magical rituals," the Moscow police said. There were so many people who wanted to know their future and ‘purify their karma’ that the lines were busy all day long. In the end, more than 40 victims fell prey to these people. The guilty were given 6 to 15-year jail terms. A significant case of fraud occurred in Chita (a city in eastern Siberia), where some people were able to deposit fake banknotes into their accounts and withdraw real ones. The swindlers cut 5000-ruble banknotes and then glued them in a way so that several notes would result from one. Then they used an ATM machine to deposit the money into several accounts belonging to various individuals and finally withdrew more than 100,000 rubles ($1,500). The glued banknotes were found only after a week, when the ATM machine was opened.